It’s the same battlefield, but 238 years later another Battle of Princeton is heating up. The Institute for Advanced Study (IAS) announced last week that it is moving ahead with its 15-unit faculty housing project on approximately seven acres of a 21-acre site, while the Princeton Battlefield Society and other opposition forces marshal resistance on political, historical, and environmental grounds. But The Battlefield Society has been working to reinstate a temporary restraining order to prevent construction on the site while they continue with their appeals. The Battlefield Society has also joined with the Civil War Trust to circulate a petition online at www.change.org, so far signed by more than 9,000 people. Also, Assembly Deputy Majority Leader Reed Gusciora (D-15) has written to the state’s Department of Environmental Protection Commissioner Bob Martin requesting a stay on wetlands permits necessary for IAS to pursue the housing project. The Battlefield Society’s hydrologist Amy Greene, in a 2011 report, identified wetlands on the site that were not known to the DEP at the time of its 2000 and 2005 field investigations. According to Mr. Gusciora, federal law requires that once wetlands are confirmed on the site no construction can take place without a historical survey and analysis as to adverse impact. State Senator Christopher “Kip” Bateman (R-16) has also been in communication with Mr. Martin about this issue. 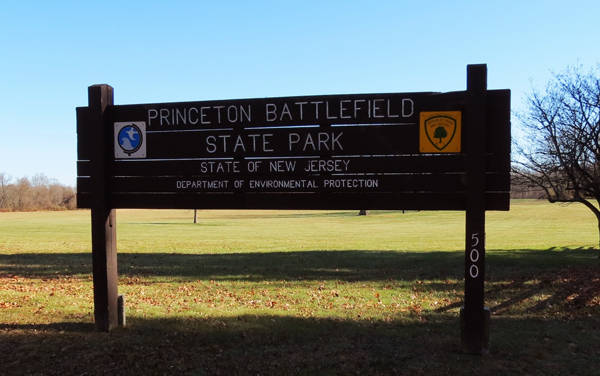 The IAS statement added that with the project taking seven acres of the 21-acre site, the other 14 acres would be open public space with a 200-foot buffer adjacent to the Princeton Battlefield State Park that will become, in effect, part of the park. The Civil War Trust, a non-profit organization concerned with preservation of the nation’s battlefields, has offered to buy the disputed site for $3.3 million and transfer it to the Battlefield State Park, and, according to Princeton Battlefield Society vice president Kip Cherry, the Trust is willing to go up to $4.5 million.